On the Friday, May 3 transmission of the Alex Jones Show, Alex broadcasts from the road as Infowars reporter David Knight rides shotgun in the Infowars studio. Today we'll be breaking down the various attacks Infowars has weathered in the past few weeks, serving only to proliferate knowledge of the FBI's heavy involvement in previous terror events. On today's show, Alex welcomes radio host Lionel of lionelmedia.com to talk about the DHS' ammo buy splurge slated for review by the Government Accountability Office. We'll also continue covering Florida's new snitch program given the green light by Palm Beach County Sheriff Ric Bradhaw. Tags: 2nd Amendment, Ammunition, DHS, GAO, police brutality, Police State, Posse Comitatus. Thursday:The Alex Jones Show. WAKE UP! Resist the Police State! 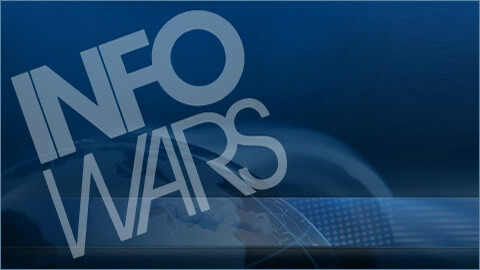 Wednesday:The Alex Jones Show.How to Survive Obamageddon. Tuesday: The Alex Jones Show. The Syrian Chemical Weapons Theory Scrutinized. Monday: The Alex Jones Show. Deconstructing The New World Order with William F. Jasper.